Kids--and kids at heart--will love these one-of-a-kind, quirky crocheted critters. 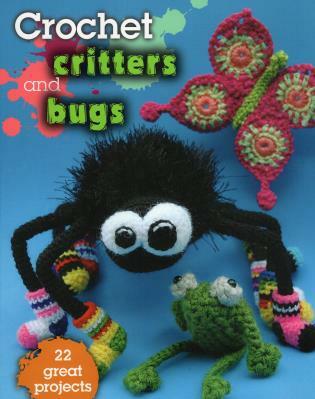 In this book you'll find 22 patterns for making cute and clever crocheted insects, mollusks, arachnids, and other fun creatures--from beloved classics like ladybugs and butterflies to more unusual plushies such as tarantulas, jellyfish, and mosquitoes. Hundreds of step-by-step photos illustrate the process. Kathryn Fulton is the editor of four other books, including Vintage Knit Hats, Vintage Knit Gloves and Mittens, and Crocheted Critters and Bugs. She lives in central Pennsylvania.